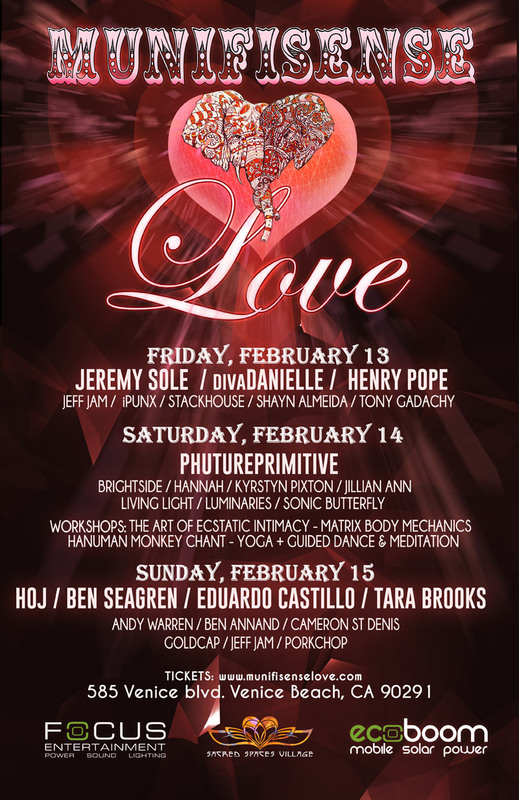 Celebrate Valentine's Day at this 3-day music and art event in a warehouse-turned-bohemian-love-nest on Venice Blvd. Daytime workshops will include sacred dance, chanting, healing, and yoga. Evenings will feature DJs, artists, and performers. For tickets and information, visit Munifisense Love.